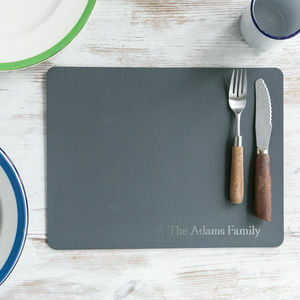 Stylish Grey Melamine placemats made in the UK, designed to last. Designed and Made In Britain, with Ochre And Ocre's exclusive patterns. 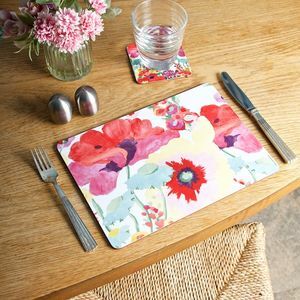 These Melamine placemats are sold in packs of 4 are printed to have the appearance of fabric texture. 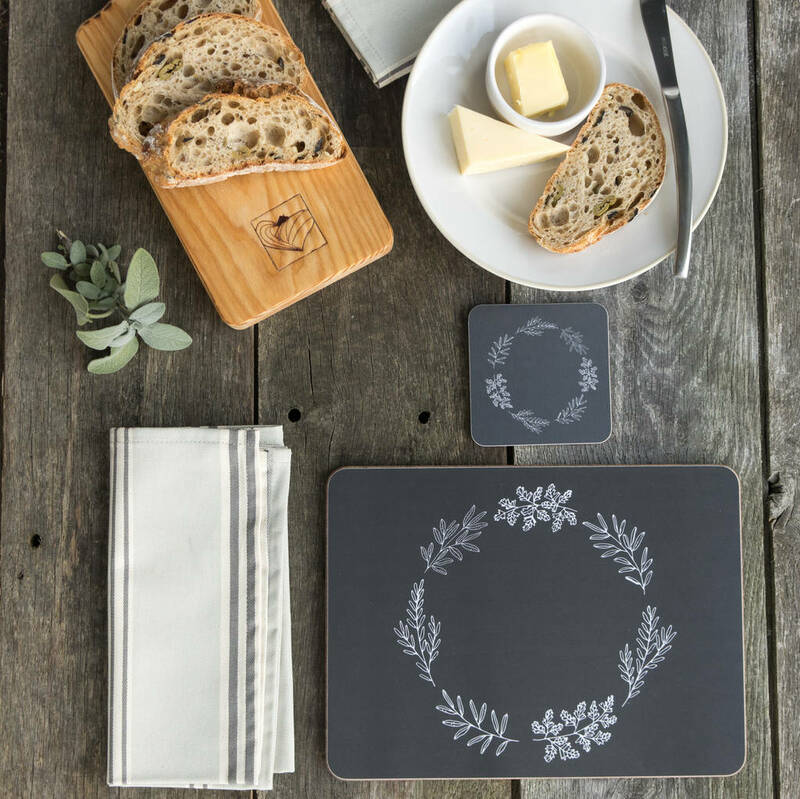 Perfect for more casual meals, the hardwearing Melamine finish can withstand heats up to 140 C. They are sold in acetate boxed sets of 4. 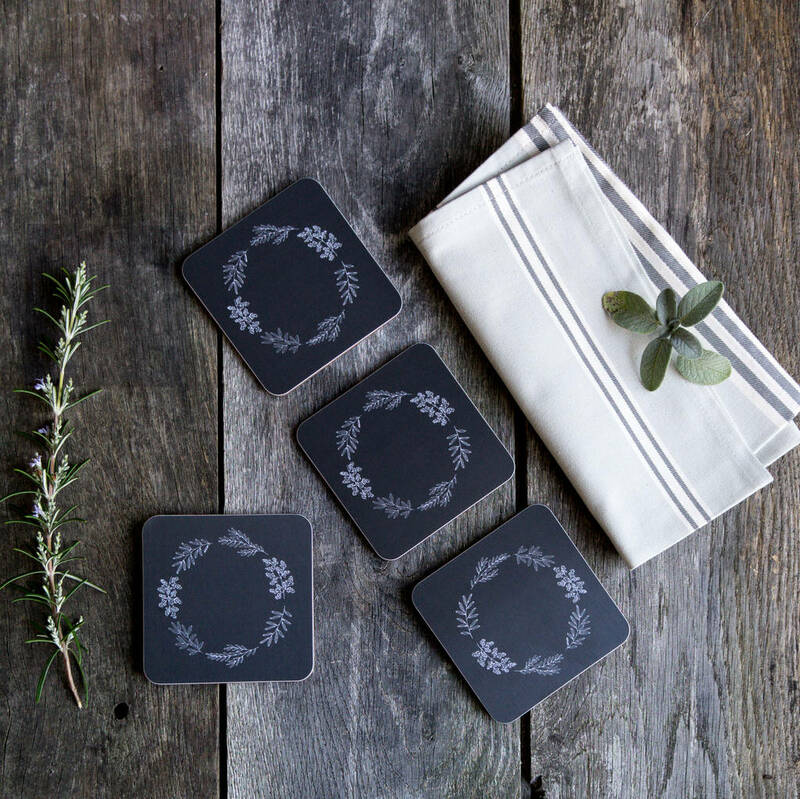 Add a coordinating set of organic napkins for that finishing touch. 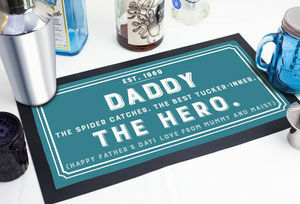 Gifts are wrapped in grey tissue and popped in a smart reusuable gift box, with a magnetic fastening. Tied with a wide gold ribbon and finished with an Ochre and Ocre fabric covered luggage tag. 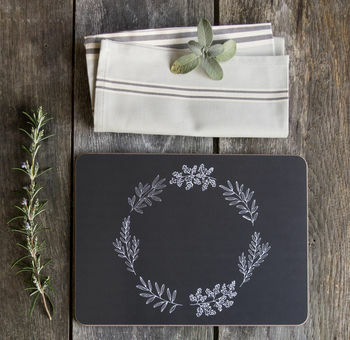 The box is made from 100% recycled materials and is perfect for reusing for storage after use. 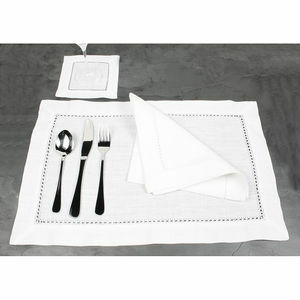 Made from Melamine, simply wipe clean do not put in the dishwasher. This product is dispatched to you by Cottage in the Hills.